M4A vs M4B: What is the Difference between M4A and M4B? The battle between M4A vs M4B has been around for a long time. So, what are the similarities and differences between the two as an audio format common to Apple devices? Follow this tutorial for details. In addition, you can download the audio converter from here to finish M4A M4B conversion at will. M4A vs M4B, Get Confused with them? 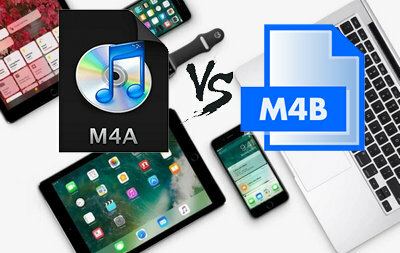 M4A and M4B are two audio formats that are very common to Apple users. M4A and M4B are the two which look most alike, and both are Audio-only MPEG-4 (MP4) files that contain audio in AAC lossy compression format. But apart from that, they still have big differences. The following is for you elaborate the comparison of M4B vs M4A and how to achieve the conversion of M4A to M4B and vice versa. 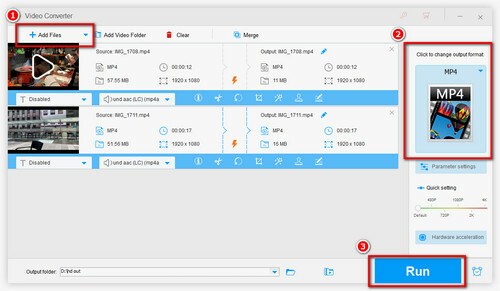 WonderFox HD Video Converter Factory Pro is a powerful and simple audio converting tool that can convert M4B to M4A and vice versa. 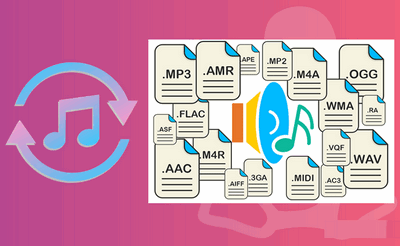 Apart from that, this easy-to-use program can also convert the format of M4A, M4B into MP3, FLAC, etc. for compatibility with more devices. Now, download it to have a try! M4A is used for DRM-free digital music distribution, while M4B is used to store audiobooks and audio podcasts. Both support metadata includes chapter markers, images, hyperlinks, etc., but M4B allows "bookmarks" (resume the playback where you left off at another time), while M4A does not. M4A is DRM-free. The music file that protected by Apple's FairPlay DRM is in M4P format. Whereas, M4B has DRM-ed and DRM-free version in audiobook and podcast files. The audio purchased from the iTunes Store is encrypted and downloaded on the web with DRM-free. In addition to lossy AAC audio, M4A can also contain audio data in Apple Lossless (ALAC) format, while M4B file is encoded with the AAC compression format only. M4A is compatible with most hardware and mobile devices, while M4B purchased from iTunes can only be placed into iTunes and devices authorized via iTunes. After understanding the difference between M4A and M4B, you may need to convert these two audio formats, right? If your answer is YES, then you should not miss WonderFox HD Video Converter Factory Pro. First of all, this software supports conversion of M4A and M4B to each other. In addition, you can also convert M4A and M4B to other audio formats such as M4A to WAV, M4B to MP3, etc. Now, free downloadfree download and install this wonderful audio converter to start your work! Free downloadFree download, install and launch WonderFox HD Video Converter Factory Pro on your PC. Load the file you want to convert into program by clicking on the “Add Files” icon and browsing to your selection. You will see the file now listed in the main window. Click on the Output Format section on the right side of the interface and select the audio format you want under Audio tab in the pop-up window. Choose the “Output Folder” to which your converted file will save to, and finally, press Run button to finish the whole audio conversion. 1. The program can help you extract audio from videos with perfect original audio content. 2. The program provides you a simple and clear solution on how to correct audio video sync permanently. 3. The program can normalize audio for help you set a consistent volume level. WonderFox HD Video Converter Factory Pro is not only a very professional audio converter, but also a very reliable audio downloader that can help us download the music we want from YouTube, Facebook, Vimeo and other sites to MP3, WAV, FLAC, M4A, M4B, etc. WPL vs M3U: What Are Their Differences? How to Achieve WPL M3U Conversion? OGG Vorbis VS MP3: Which Audio Format Should You Choose MTS vs M2TS / M2TS vs MTS: What is the Difference between MTS and M2TS?